Bollington is a small town in Cheshire, England that has been nicknamed locally as ‘Happy Valley’. Bollington lies on the River Dean and Macclesfield canal and is on the south western edge of the Peak District. There are many different sites to see in this small town, from Kerridge Hill to the monument of White Nancy, a memorial to the Battle of Waterloo and the Napoleonic wars. Throughout the 19th and 20th Century Bollington was a major centre for cotton spinning. There are many mills that still remain including the Adelphi Mill. So what Landmarks are worth a visit in Bollington/Cheshire? One of the main landmarks people see when they visit Bollington is the White Nancy monument that rises above the town on top of Kerridge Hill. The Monument is a designated grade II listed building that boats a sense of pride in the history that surrounds it. White Nancy attracts many visitors and has become a popular attraction, as many people appreciate the beauty and history that surrounds the monument. White Nancy was built to commemorate the victory of Waterloo, however there are many interesting stories about the history and meaning the structure represents. Bollington aims to provide the best national and international theatre, arts and education programmes around. The Bollington Arts centre provides unique programmes and special events, all planned and performed to the highest quality. 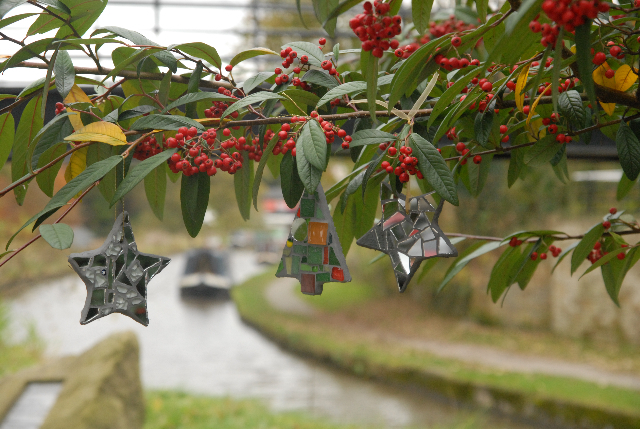 Bollington discovery centre is the perfect spot to discover all there is to know about Bollington. The Bollington discovery centre has an attractive display area, small shop, and a collection of historic photographs on display. Aswell as this the Bollington discovery centre arranges walking trails and exhibitions to help you see all that Bollington has to offer. The Church House Inn is a traditional stone built Inn and dates to the time when Bollington was a mill village. This traditional hotel and restaurant is situated within the village, and boasts great views of Bollington and all it has to offer. The Adelphi Mill has gone from a mill that manufactured cotton to phenomenal modern offices that has helped many businesses find a home. The Adelphi Mill is set in a beautiful location, and its history remains alongside the modern office space it provides today. The history of mills can still be felt through the Adelphi mill building, with many other mills also converting to modern day offices that provide the perfect location at the perfect price. Even though the Adelphi Mill now offers the perfect business space for modern day businesses the building is still part of English heritage and is a grade II listed building. The building is full of important history showing how it transformed from a cotton spinning business into commercial office space. Adelphi Mill was erected by the Swindells brothers, George and Martin. The Swindells are a significant family in the history of Cheshire’s textile industry and owned many businesses including Clarence Mill, which is north of Adelphi. The location of our office space is perfect for any business. 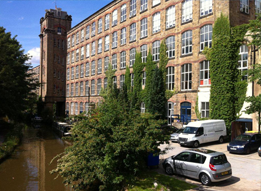 Located in a prestigious yet peaceful setting near the canal, Adelphi mill offers unique and modern offices for you to enjoy. The location is perfect for any start-up businesses or small office space, with many great on site facilities on offer. There is a café and restaurant, on site gym all at a great rate for tenants. 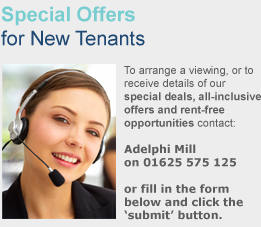 If your company requires a unique yet modern office setting Adelphi Mill offers the ideal office space. With 24 hour access to your office and onsite security we offer excellent comfort within your workplace. Adelphi Mill offers businesses the chance to work in a modern environment whilst being surrounded by the history and beauty the location offers. If you need office space that is modern and unique yet is still reliable, then Adelphi Mill has a wide range available for you to choose from. We offer a fabulous rent that is perfect for any start up businesses that needs to find their feet. Aswell as this we offer many facilities and we help you to overcome any fears about getting the most out of your money; as many of our happy customers can verify! Contact us for more help and information! At a low rate of £23 a week many people are contacting us about the office space we can provide. If you are interested in our modern offices in a beautiful historical location, then Adelphi Mill is only a phone call away. Contact us for more help or information regarding your business office space. « Should you lease or buy office space?